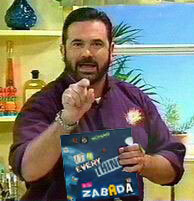 The only thing Ivan Rodriguez’s marketing is missing is a barker like Billy Mays. All spring, the unemployed catcher has been saying that whichever team signs him would be getting a great deal because he was in such great shape. Pudge even compared it to winning the lottery. He stepped up the salesmanship in Puerto Rico’s World Baseball Classic opener, going 4-for-4 with two homers with a “Best Buy” come-on on his jersey. Jacoby Ellsbury may be happy in Ft Myers to have the Red Sox’s centerfield job all to himself, but he isn’t the only one relieved that the firm of Ellsbury and Crisp has been broken up. Coco Crisp looks like a different player in Surprise. Not just the .471 average for the Royals. He’s swinging more aggressively and playing looser. One game into the Indians’ return to Arizona, Cleveland skipper Eric Wedge conceded that Cactus League games tend to be more high-scoring than exhibitions in Florida (due to the dry air) but expressed confidence that his pitchers’ psyches would survive.